We don’t like locksmith scammers because they give us a bad name! But even worse, they can make a simple lockout or key change into a nightmare for you, the client. 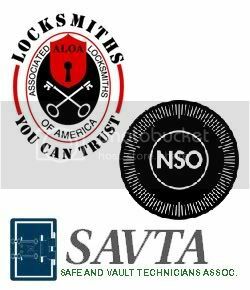 As a guide for your safety and peace of mind, here is a link to the Federal Trade Commision Consumer alert on the “Keys to Choosing a Reputable locksmith“. 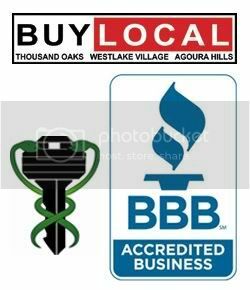 Brucar Locksmith is licensed, bonded and insured and is proud to have a high rating with the Better Business Bureau. We are local to the Conejo Valley and our mobile service area is Ventura County and parts of Los Angeles County. Local cities we service are listed but not limited to: Thousand Oaks, Newbury Park, Westlake Village, Camarillo, Simi Valley, Simi Valley, Moorpark, Oxnard, Ventura, Oak Park, Hidden Hills, Calabasas, North Ranch, Lake Sherwood, West Hills. ← You from around here?